You’ve never met classmates like these before! Breaktime and show-and-tell will never be the same again as a clutch of cheeky pirates (and their parrots) join in! These little pirates aren’t your average swashbuckling sailors. They’re not after your precious gold – they’re hungry for knowledge! So they’re hanging up their swords, putting down their parrots and getting stuck into some learning. 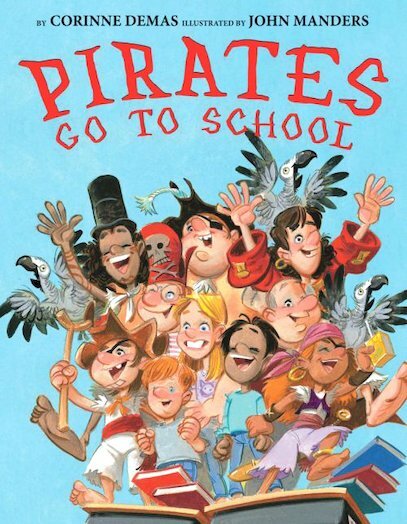 After all, what makes a better show-and-tell treat than a big box of pirate treasure? Just don’t take your eyes off them, or you might end up walking the plank! A mischievous adventure which celebrates knowledge and learning.